There are but very few certainties in life; night certainly follows day, English football fans get overexcited, and Jessica Fox will win canoe slalom gold. 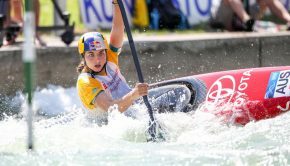 The pundits will tell you there can never be certainties in sport, but when Jessica Fox won her sixth consecutive canoe slalom gold medal on Sunday, she asserted herself as the closest thing to a sure thing sport can deliver. 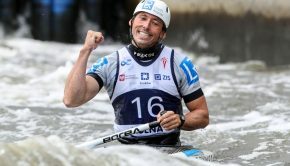 Tokyo 2020 is still a long way off, but after a K1 silver and bronze at the past two Olympics, and with the debut of C1 at the next Games, Fox is already eying of the prospect of making history. Another eagerly awaiting Tokyo is three-time Olympian Peter Kauzer, of Slovenia. 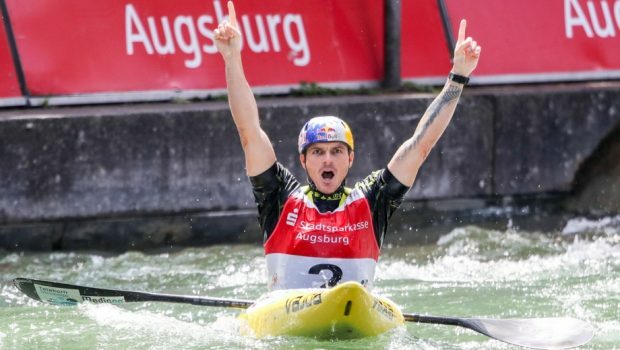 He served a timely reminder of what he is capable of in the men’s K1, with a stirring victory on the tricky 1072 Olympic course. Kauzer also picked up a two-second penalty, but was still fast enough to sneak home ahead of Czech Jiri Prskavec in 94.86 seconds. Prskavec also had a gate touch to record a time of 95.10, while Germany’s Hannes Aigner was third in 95.79. “It was quite tight, because I did a stupid touch on gate 11,” Kauzer said. “I felt really comfortable in the boat all week long. It’s just like the old school of paddling here, a little bit of the mixture of the old and the new school. 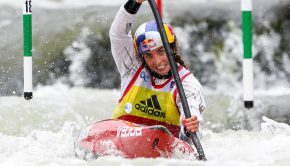 In the extreme kayak, Ana Satila was rewarded for her perseverance with a good win over Dutchwoman Martina Wegman, with Russia’s Polina Mukhgaleeva third. In the men’s, Russia’s Pavel Eigel continued his love affair with the new discipline, posting his second win of the season. Poland’s Rafal Polaczyk won silver, and Germany’s Stefan Hengst the bronze. 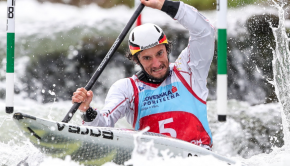 The ICF Canoe Slalom World Cup season takes a break until the end of August, when competition will resume at Tacen, Slovenia.